Where to start, other than by saying that I loved every moment of that. Well, not quite every moment, but most of them. After the creepy horror-inflected introduction of the Cybermen in World Enough and Time, this episode shifts the tone into an action-packed sci-fi Western – Cy-Noon, perhaps – with the Doctor taking charge of a small town preparing itself for a Cyber onslaught. 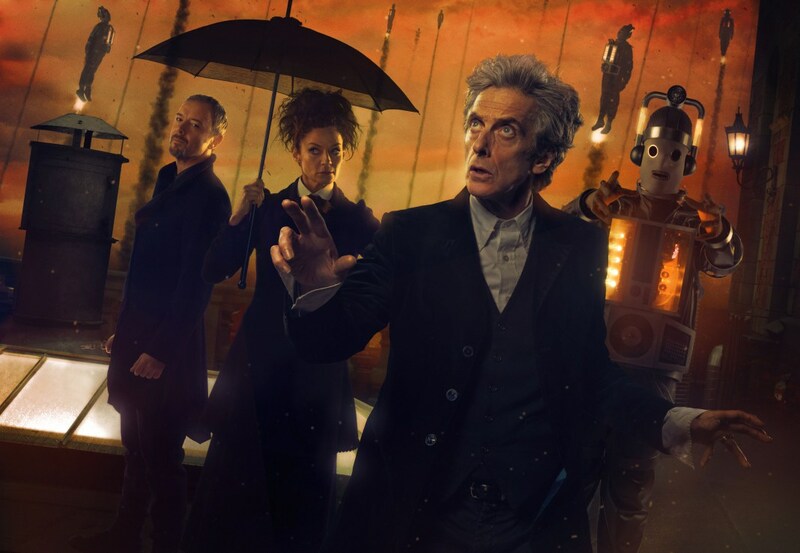 The Moffat era’s two- or three-parters have tended to shift tone between episodes, with the result sometimes being very jarring (see this series’ Monk trilogy for the most disastrous example of that), while last year’s finale also incorporated some Western elements alongside assorted bits and bobs of genres, creating an engaging but somewhat jumbled episode. The Doctor Falls, in comparison, both flows on nicely from part one and feels very assured about everything it’s trying to be; it transitions between its various threads neatly, and the chronological jumping around feels like it adds to the experience rather than being a gimmick. It feels like, if I’m allowed to make assumptions, this is Steven Moffat when he finishes the first draft in good enough advance to have time to rewrite carefully. My criticisms still stand about how the ‘redeeming Missy’ arc played out (or didn’t) across the first ten episodes of Series 10, but the way it’s ended has been perfect, and pitting her against her previous incarnation is such a clever move. 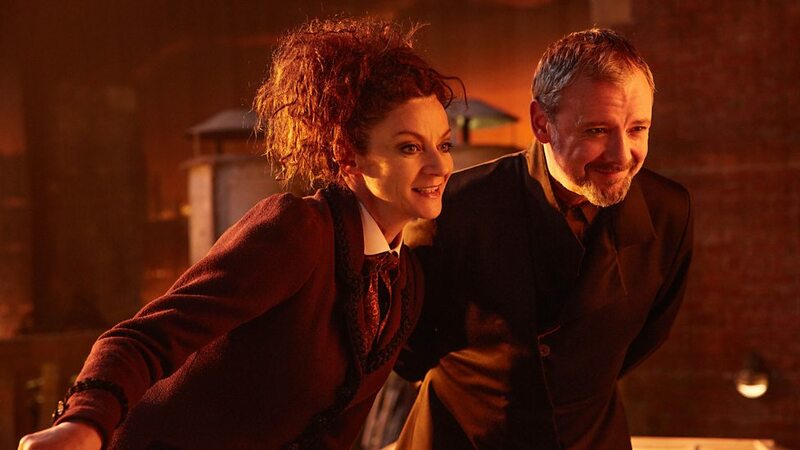 Simm’s Master was always focused on his madcap evil plans, whereas Missy has been more interested in playing up her friendship with the Doctor, a difference which makes them a perfect pairing for this story. And, while both play their Masters as very larger than life, there’s a subtlety underneath the mayhem here, with Gomez really showing that she can do heavy emotional stuff as well as the comedy schtick she’s had nailed down since she began the role; their little interplay after she refers to Cyber-Bill as ‘her’ rather than ‘it’ is just one of many examples of that. Speaking of which... Bill’s a Cyberman. The scenes where she learns what she’s become and tries to repress it are beautifully played, allowing Mackie to give one last impressive performance while revealing her horrifying new nature at just the right moments. Yes, there are similarities to Oswin’s story in Asylum of the Daleks, but this is very differently handled, playing up the emotion and horror from the beginning rather than holding it back for a twist. And then we have Bill’s ending, being rescued by the Heather alien water spaceship thing from The Pilot. Hmm. I’d been worried that Bill wouldn’t get a proper ending, and while she does at least get this, it feels rushed; the one part of an otherwise flawless episode that grated for me. It’s all too convenient, and it’s been too long since we last saw Heather; perhaps if she’d reappeared in the middle of the series so Bill’s relationship with her could be developed and her seemingly limitless superpowers could be explained, this ending would have worked better. The similarity to Clara’s exit just one series ago is also a problem; is it not possible for a companion just to decide to leave the TARDIS any more? On the plus side, it did allow for a gay kiss on primetime Saturday night sci-fi, which is wonderful (and interestingly, Bill is the only new series companion to leave the show without having kissed the Doctor at any point – glad we’ve got past that weird recurring trope). Keeping with the companions, it’s nice that Nardole gets some development. I always suspected that he’d prove himself to be more than just comic relief; there were hints of that throughout the series, but he fully comes into his own here, and Matt Lucas is seriously impressive in the scene where he realises he has to take responsibility and lead the town. 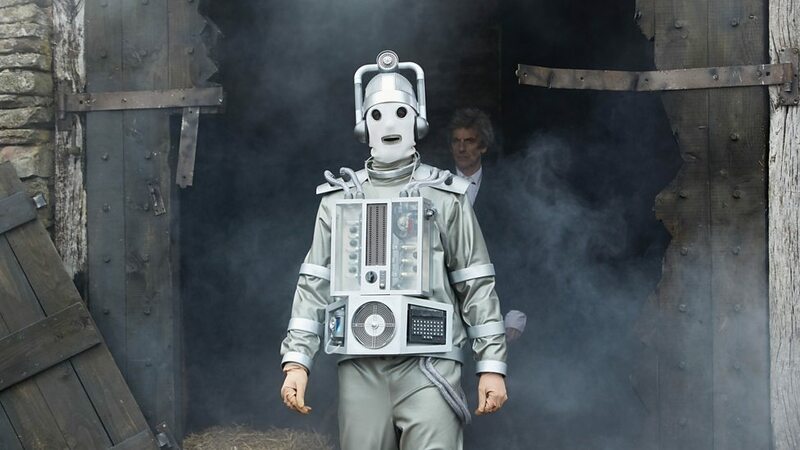 This conflict-averse alien criminal was a refreshingly different type of companion for the Doctor to take on, and here we get the impression that he’s matured and improved himself through his travels. On a whole, then, the character work in The Doctor Falls feels, like the episode's pacing and tone, assured. Sure, the villagers may be thinly sketched, but there's meaningful development for the Doctor, two companions, and two Masters – which is three more characters than Moffat usually focuses on! The dialogue is calmed down, as well, less gimmicky and catchphrase-driven than in many of Moffat’s flashier episodes, and much better for it, to the extent that it jars on the rare occasion Moffat falls back into his more annoying habits (the gag about John Simm's face being round, for example, is a reminder of his predilection for forced jokes about facial features, but it comes in the middle of a scene full of genuinely cracking lines). Oh yeah, the Doctor. Not talked about him yet. It’s impressive just how much the Twelfth Doctor has himself matured over his three series. 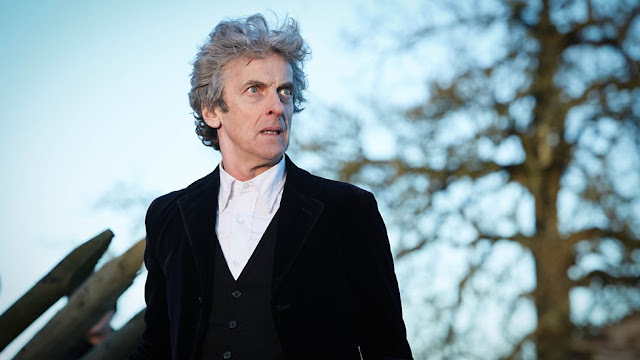 Peter Capaldi has never been anything short of excellent, but the show wobbled over what to do with him for two years. He started off as the grumpy Malcolm Tucker in space, riddled with insecurities about his identity, then became some sort of rock star, and this series has settled as a very balanced yet distinct take on the Doctor. And while I really wish we could have had more of the Twelfth Doctor as he has been in Series 10, it is interesting to note that arc of development over his lifetime, however unplanned it may have been; the brilliant, desperate “I do it because it’s kind” speech in this episode is a matured take on the Series 8 finale’s “I’m an idiot” speech – the Doctor again expressing his identity to his oldest friend, but this time sure of it. And consequently, Missy’s “thanks for trying” is the saddest moment of the Capaldi era. In fact, with a finale this good, it feels a shame that he doesn’t regenerate at the end of it. Because if this were Capaldi’s last episode, it would be a perfect ending for him. So let’s hope the Christmas special doesn’t drop the ball.